Peaceful garden, seating area, private gated parking, private swimming pool, sun beds and umbrellas, stone build BBQ and Terrance. A perfect location to wind down and enjoy the comforts of the villa. 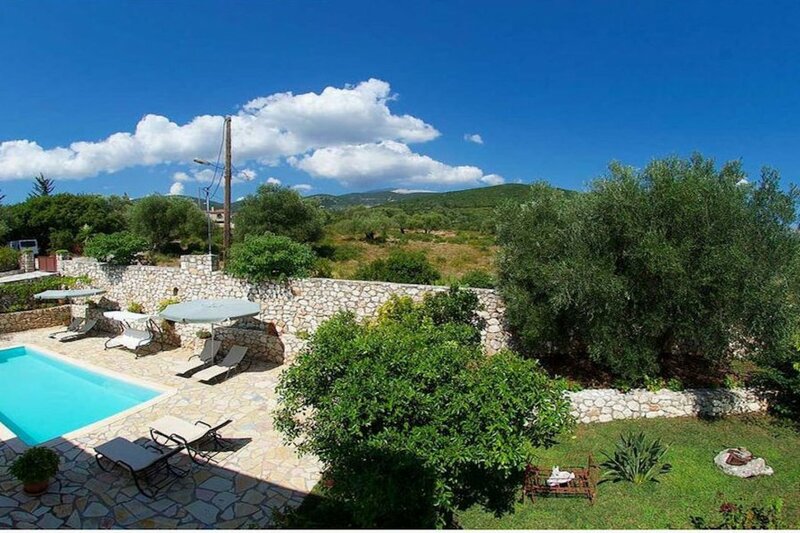 The one level villa with three spacious modern bedrooms with double and single beds, two WC including a bathtub, a comfortable living room with a fireplace. Farm style fully equipped kitchen and dining area. All three bedrooms are accessed from a corridor that leads off from the lounge into the rest of the villa. Its architectural style smoothly compromises the traditional with the urban-tech way of living.